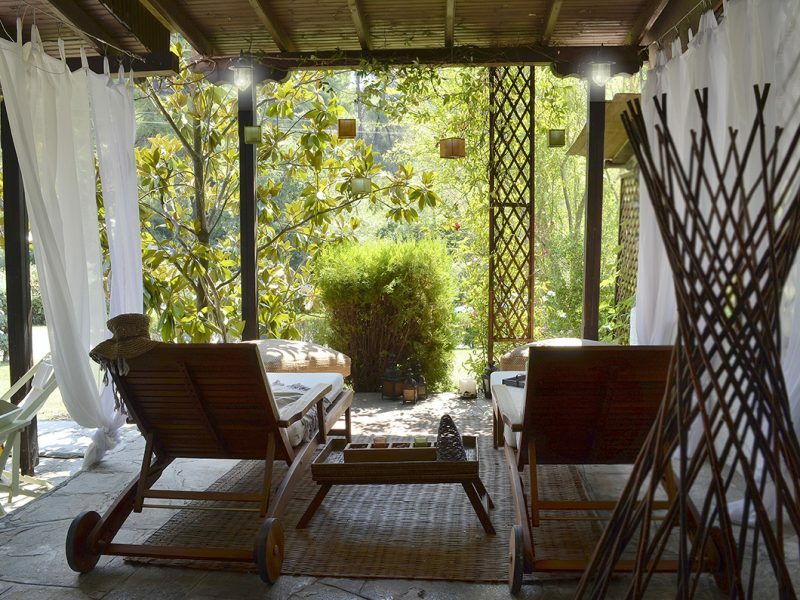 Beautifully nestled in the serene coastal landscape of Halkidiki and amid the mature pines and attractive native trees, Villa Margarete in Elani lures guests into a world of tranquility and pure bliss. Welcome to our unique villa in Greece where green meets the blue. 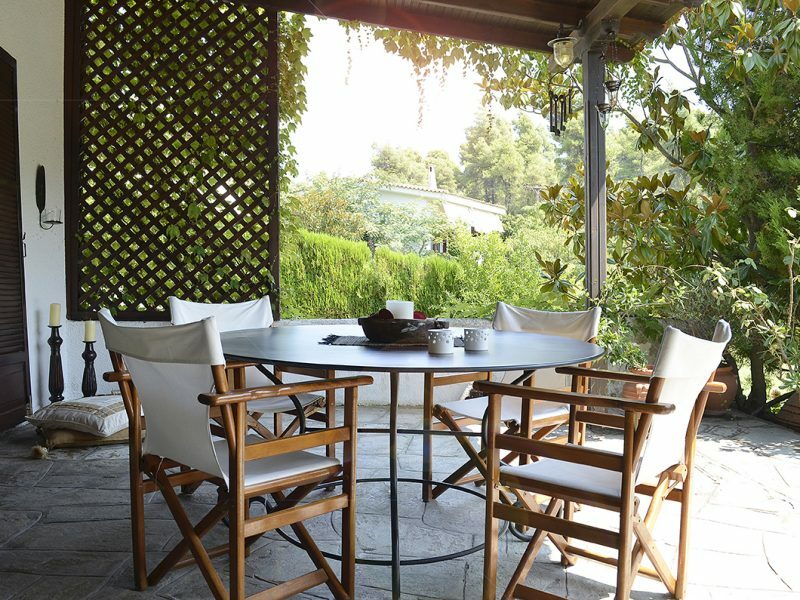 Beautifully nestled in the serene coastal landscape of Halkidiki and amid the mature pines and attractive native trees, Villa Margarete in Elani lures guests into a world of tranquility and pure bliss. Either you are a large family or a couple or traveling with friends you have now reached your ideal destination. 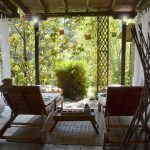 Sitting on the veranda of our villa, you can spend moments of comfort and relaxation that give unlimited and stunning views of the mountain and the compelling natural forests. The green surroundings and the sea are perfectly balanced in this unique place. 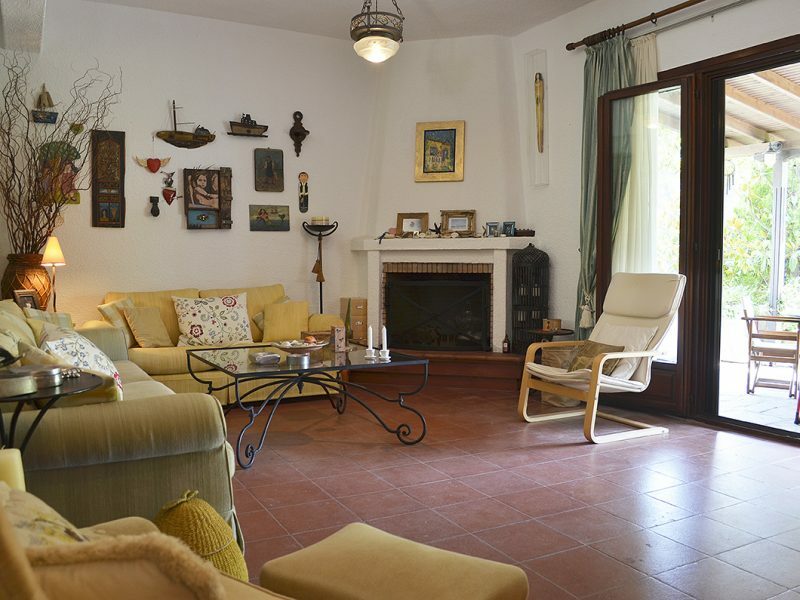 Villa Margarete is totally independent, with back and front verandas and a view of the forest. 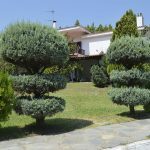 It is surrounded by back and front lawn gardens with a variety of trees and colorful flowers. There is a parking place and also the beach is a 5-minute walk (about 250 metres). Wide windows in all rooms and the balconies offer limitless views to the irresistible forest scenery and moments of repose and tranquility to all visitors. Several outdoor activities are freely and easily accessible. The community offers tennis courts, children’s playground and unlimited places for walking, hiking, bike riding and exploring. 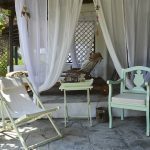 Villa Margarete has been thought to propose a very personal and unique style regarding other Villas in Halkidiki, a style that will feature intensively your holiday and leave you an unforgettable feeling of never leaving the coziness of your home while exploring new magical places. The Margarete villa has been carefully decorated by the owner, offering all modern amenities, impeccable style and traditional touches. 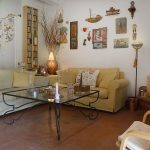 This astonishing house, with the breathtaking view, provides the ideal of discreet luxury accommodation. 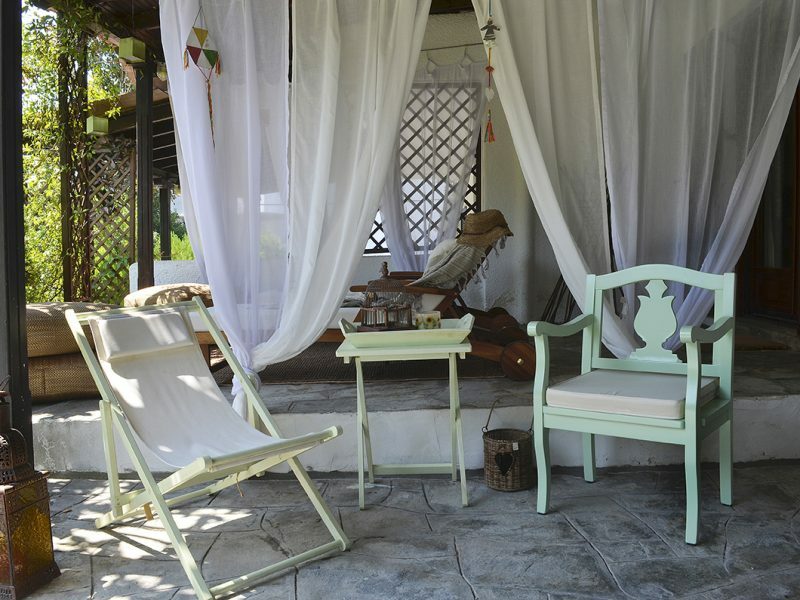 The villa’s interior design is set to be completely equipped and furnished with the aim to create an ideally warm, comfortable and pleasant environment for families with children and those looking for an unforgettable relaxing. 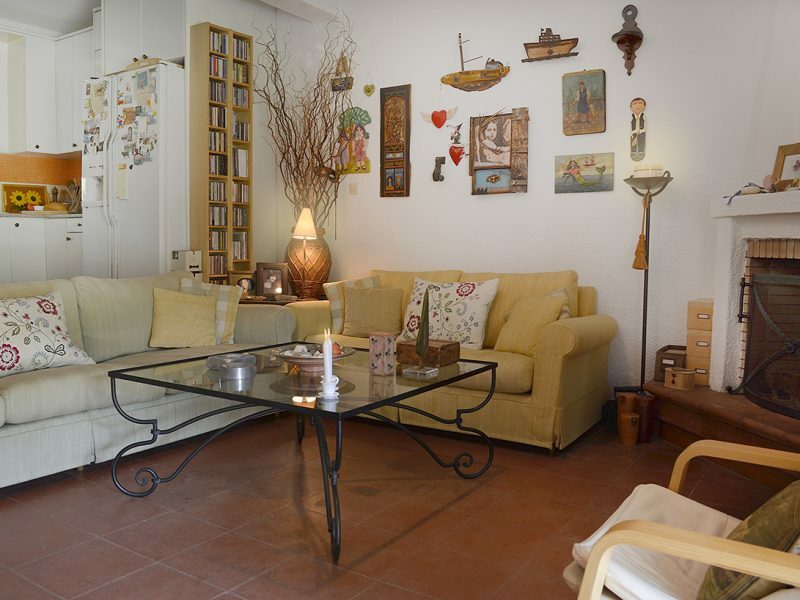 The house is divided into two levels, able to accommodate up to 8 people. 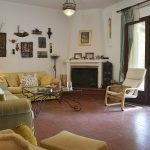 Designed by the owner’s personal taste, Villa Margarete has 1 kitchen, 3 bedrooms, 2 bathrooms, two balconies, two verandas (in the front and in the back of the villa) and a spacious living room. 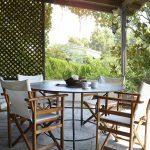 The ground level of the villa offers unlimited access from the French doors to the balconies and then to the beautifully maintained garden displaying a variety of planted flowers. It includes an elegantly designed sitting area with a cozy fire place and a lovely open plan kitchen for true cooking pleasures, fitted with all electric appliances and conveniences. There is also a dining room and a King size bedded bedroom with an extra WC. The upper level comprises of the Master bedroom, a kid’s bedroom with 4 beds, one bathroom, two balconies and therefore a magnificent view of the natural surroundings. 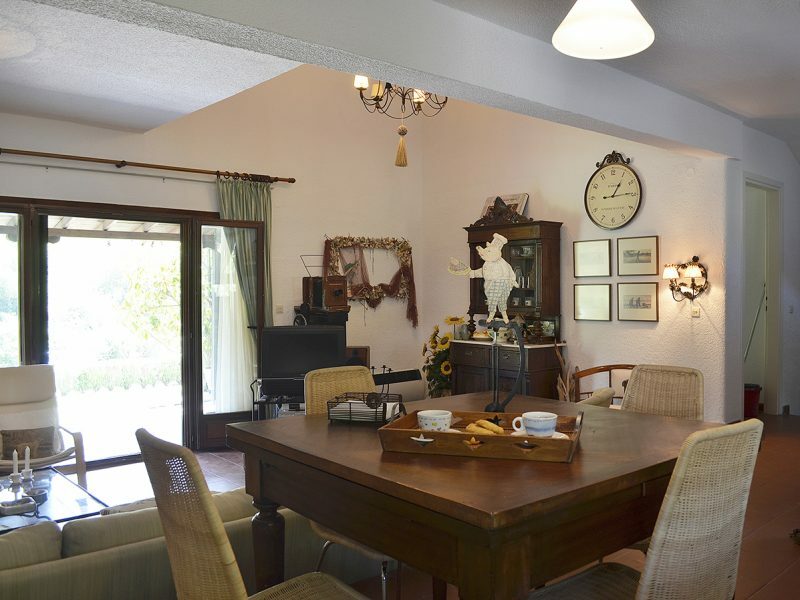 All rooms of this accommodation are fitted with contemporary conveniences and delightful garden views provide a warm welcoming environment for guests to enjoy and feel like home. 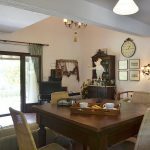 This astonishing villa is located in the first leg of the Halkidiki peninsula, between Kassandreia and Siviri , 65 km from Macedonia Airport Thessalonikis. The area of Elani has the most beautiful residential villas. 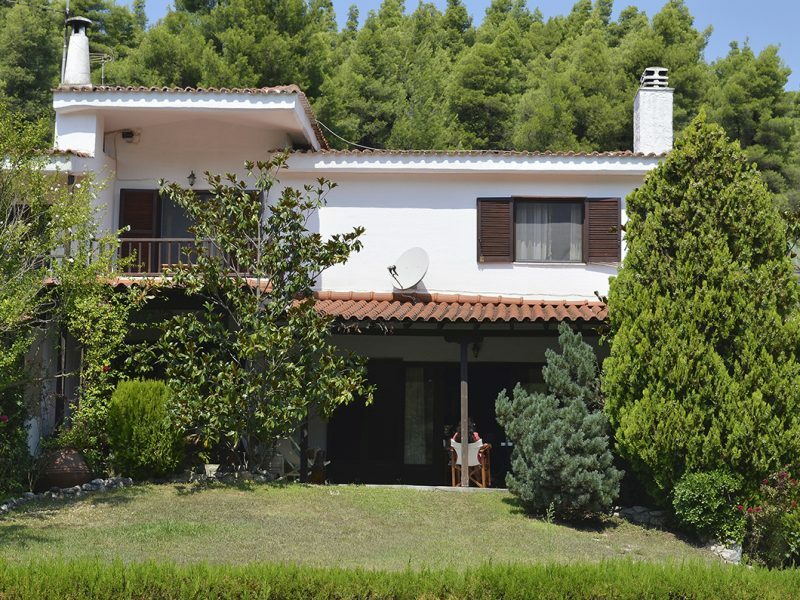 Elani village is situated in Kassandra Halkidiki’s just 80 km from Thessaloniki and 20 km from Kalithea the most popular and closest place for shopping, nightlife etc. 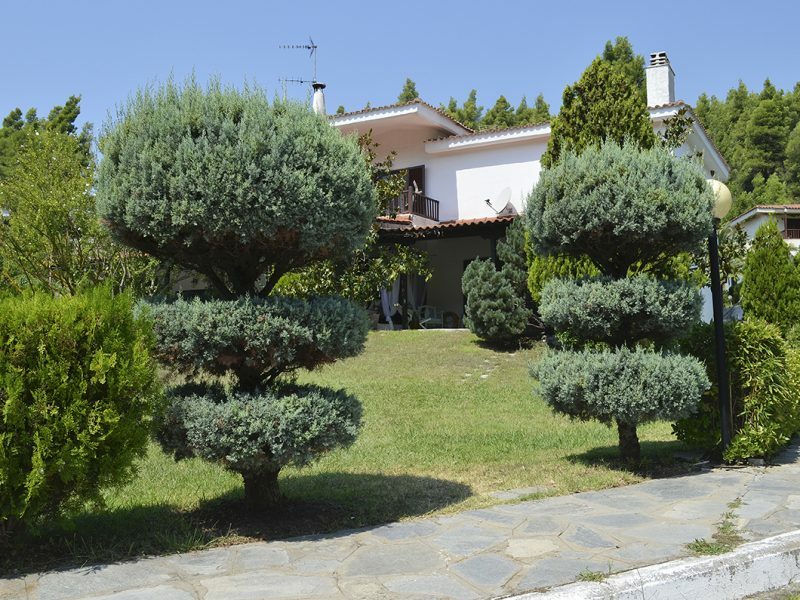 Halkidiki has a really good road network which makes it easy for travelers to reach all resorts and parts of Halkidiki without a hassle.